The second leg of our vacation trip took us to the Golden Spike National Historical Site and to a highly recommended winery both of which provided additional "off the charts" game opportunities. 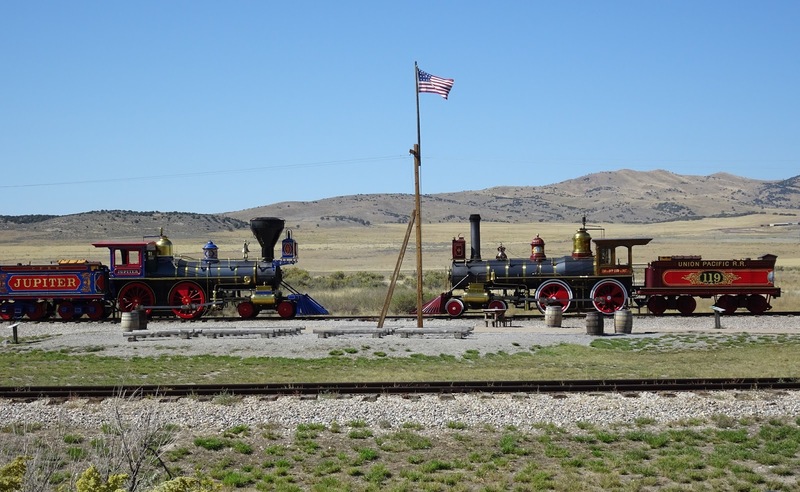 The Golden Spike National Historical Site is where the Union and Central Pacific Railroads joined their rails at Promontory Summit, Utah completing the first Transcontinental Railroad. 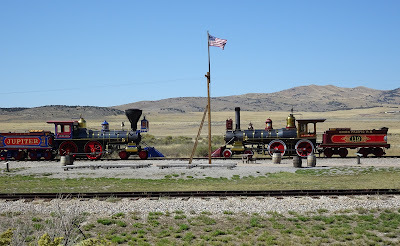 This was also the ideal place to play our Ticket To Ride The Card Game. 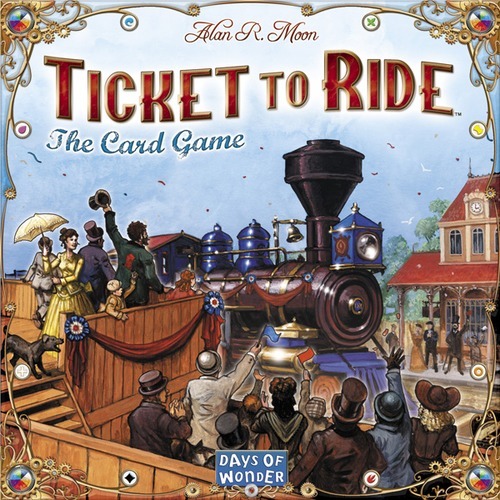 This is a game 2-4 player card game version of the board game Ticket To Ride. 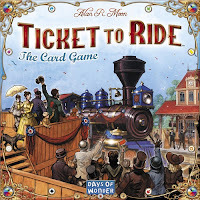 In the game we are playing, we are each collecting sets of illustrated Train cards which are then used to complete Destination Tickets - routes between two cities depicted on each ticket. 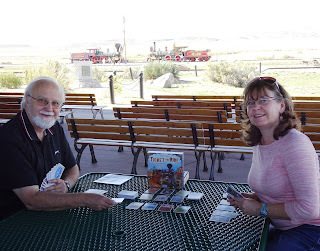 During the game we can each try to force the other to discard some of their cards from their railway yard so they don't get into the scoring area. 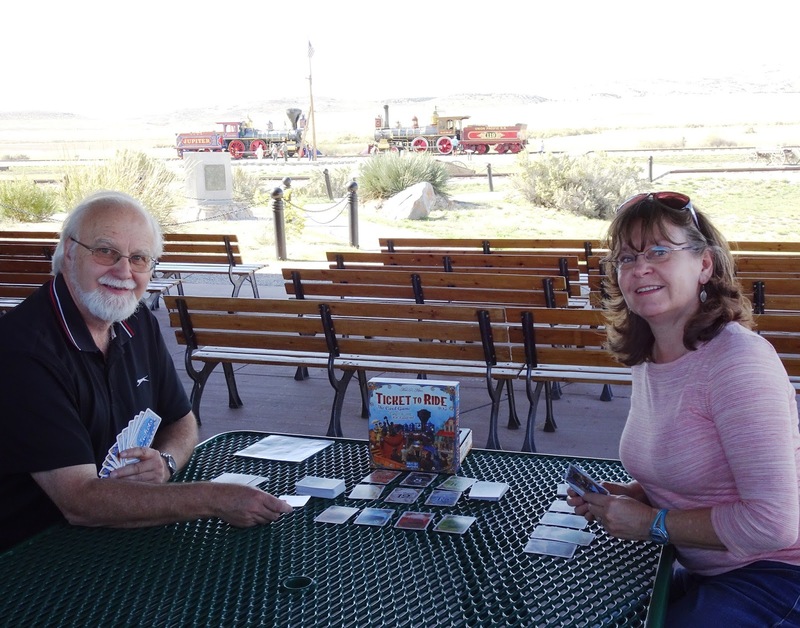 Managing your railway yard is critical to getting cards into your final scoring area. Our next stop was at Three Horse Ranch Vineyard in Eagle Idaho, a place we had heard about from a wine aficionado. 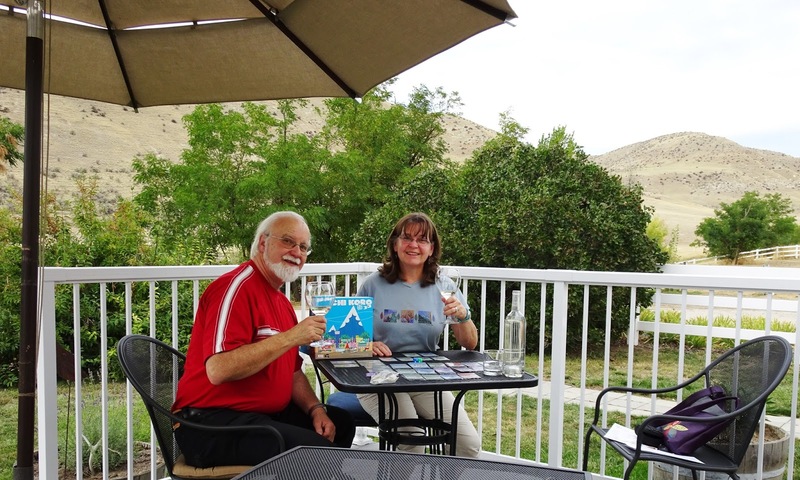 It was another beautiful day, the wine was fabulous, and we played Machi Koro our next game that went "off the charts" - idyllic. Machi Koro is a fast paced, city building, dice rolling card game. Starting with only a wheat field and a bakery, we are each competing to build a thriving city and to be the first town to complete our 4 major landmarks – a train station, shopping mall, amusement park and radio tower. We have an open copy of Machi Koro available in our Demo Games Library for you to come in and try. This was a nice conclusion to a super fun vacation.